File manager assets are given a unique file URL. 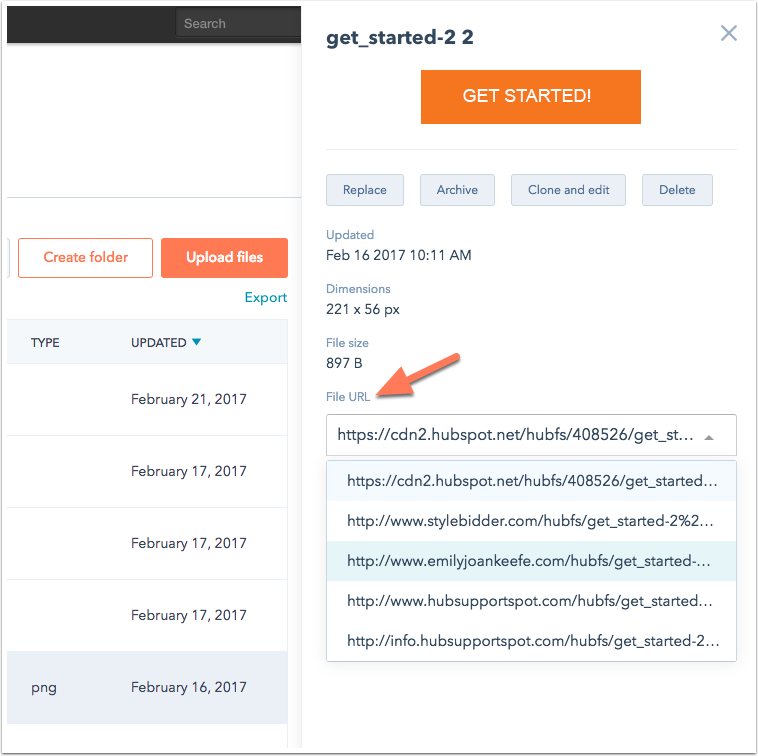 You can use the default HubSpot file hosting domain or host files on any of your other domains connected in HubSpot. It's possible to update the file URL of a specific asset directly in your file manager. You can also update your default file hosting domain for all your file manager assets in your settings. In the File details pane, click the File URL dropdown menu and select your connected domain. Click Copy URL to use or share this URL. Click the SEO & Crawlers tab. In the Default File Manager Hosting Domain section, click the dropdown menu and select a domain. Click Save to update your settings. Please note: any change you make to your default hosting domain will not affect assets that have already been added to a page or email. 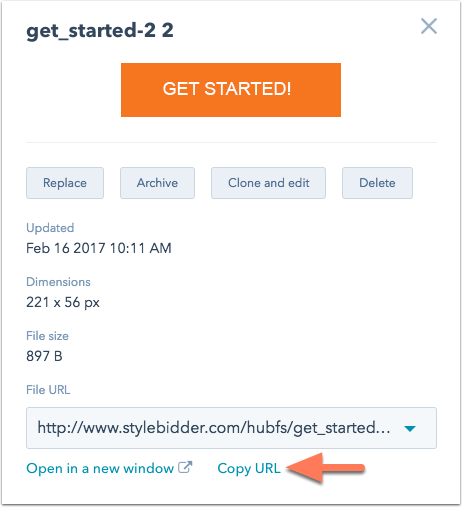 If you want these to be linked to the new default domain, you will need to manually change the link of those assets.